Larry Chiang interrogates business leaders, celebrities and even mascots. Sometimes he interrogates to get granular specifics into learning something new. Most often it is in his effort to get mentored, but every blue moon, he interrogates to catch people in lies. One of the most important things I learned outside of any b-school sylabus is ‘How to Interrogate’. It was taught to me by interrogation expert, John Reid. 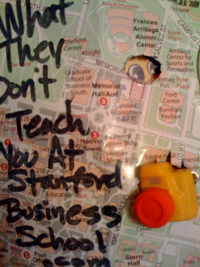 He mainly coaches law enforcement and corporate security while I use his strategies to out people at conferences. Here are the nine lies told at the National Speaker Association’s annual convention in Phoenix. -1- Harvard just reviewed my book. -11- I am going to wake up early for services on Sunday. -14- What happens in Phoenix, stays in Phoenix. Submit ONE lie you hear. Report your ‘lie’ in the comments below. Larry’s mentor Mark McCormack wrote this in 1983. His own book comes out 09-09-09. 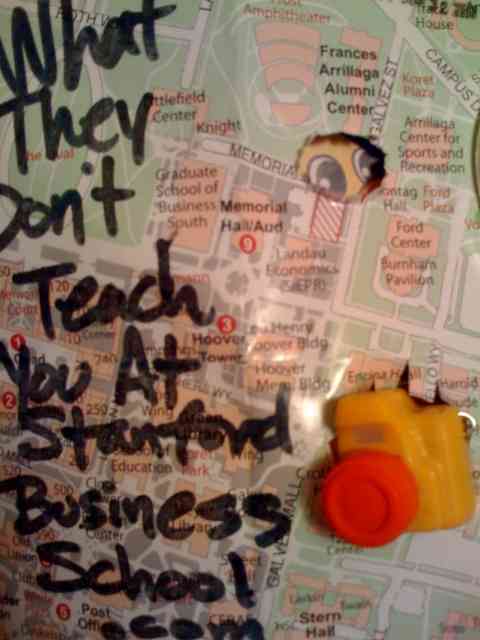 It is called ‘What They Don’t Teach You At Stanford Business School‘. Larry Chiang speaks on credit and has a credit education company called Duck9. 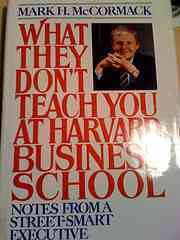 He started his first company, United College Marketing Services, in college after reading his mentor’s book, “What They Don’t Teach You at Harvard Business School“. He has testified before Congress and the World Bank on credit. His book has a business case study that is getting turned into a movie (he hopes). He’s promoting the movie rights at the Sundance Film Festival AfterParty. He has a goal to put his book and his mentor’s book on the bestseller list at the same time.